Resting VO2 and VCO2 measurement! 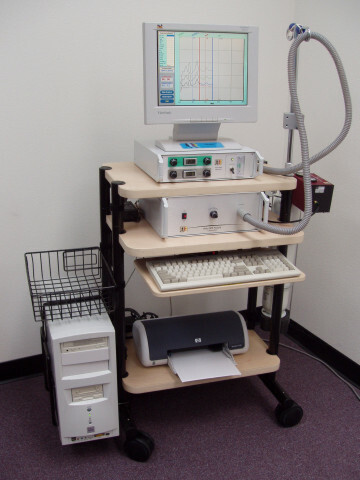 Vista MX-REE is a complete metabolic measurement system for Resting Energy Expenditure (BMR, RMR, REE) testing. It may be used as a portable desktop system with your own computer, or with an integrated mobile cart, including "IBM-compatible" computer and high resolution color LCD monitor. The basic Vista MX-REE includes O2 and CO2 gas analyzers, permanently calibrated turbine ventilation meter, a USB PC interface with our "TurboFit" software and either a canopy (hood), mouthpiece or face mask interface. REE measurements can be made accurately and reliably with a face mask, however, much published research used the canopy method. Our REE module offers several advantages that guarantee better accuracy than the original (DeltaTrak) system. 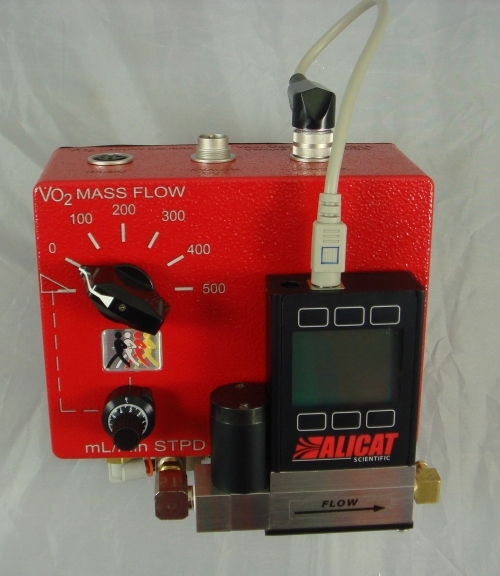 It includes an active mixing circuit that assures true mixed expired gas sampling. It MEASURES gas flow instead of using "calibrated" orifices. It offers continuously variable air flow. Included is a "Canopy Calibrator" that produces a known VO2, VCO2 and therefore a known REE at known RQ. a known RQ and verifies overall system accuracy, including software to verify the accuracy of any Canopy VO2 system! (Optional)Automatic "Fi" re-calibration: Since ambient FiO2 and FiCO2 may change during the test, and may affect measurement accuracy, you can set a periodic "Fi Re-Calibration interval" that will measure the Fi and automatically insert the new values into the VO2 and VCO2 computation. A "Zero CO2" calibration: During initial gas analyzer calibration, ambient air is drawn through a CO2 absorber to produce a known "zero" CO2 gas. Paramagnetic O2 sensor and infra-red CO2 sensor. Flow Sensor: Permanently calibrated, micro-processor compensated turbine. Click here to view the REE.PDF sample print-out. Click here to open the MX-REE.PDF data sheet.